If you don’t want the look of a manufactured home, then you might be interested in custom home building options. 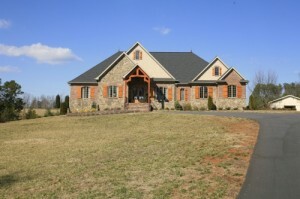 These custom home plans are designed for individuals so that they can have unique homes. Designing a custom one is not usually very hard, and they are fairly cheap for what you get. However, if you want you home floor plans to be designed properly, then it is important to have a good architect to work with you. Custom home building does not have to be hard. Designing custom house is quite simple with the right tools and people helping. The first part of designing a custom one is to get a good architect to work with. That person should be knowledgeable about home plans and how to make custom houses. The main things to consider when designing your own place is how to design everything you need so that it fits in with your budget. Contact us at Ron Williams Building Company where we also do renovations, as well as custom homes!